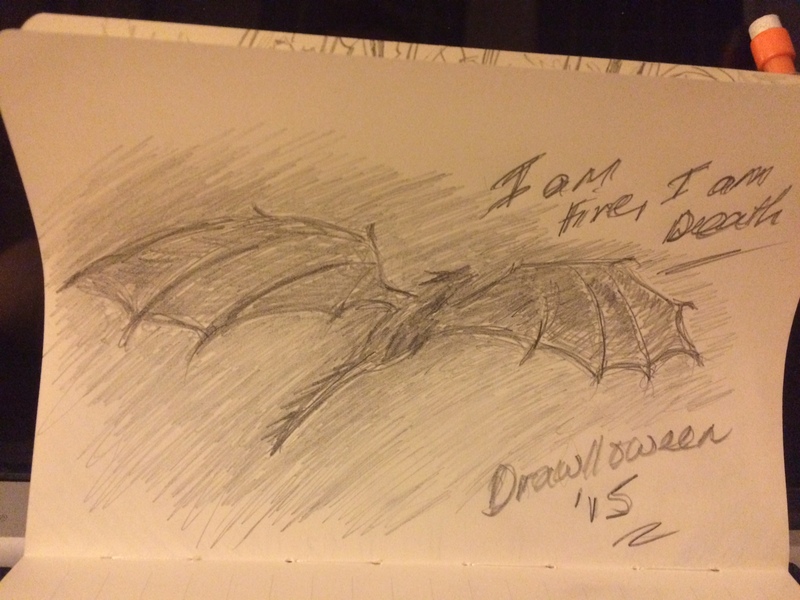 Game of Thrones by JRRMartin – three dragons no less! Harry Potter by J K Rowling – okay, dragons aren’t the main focus here but they are included! 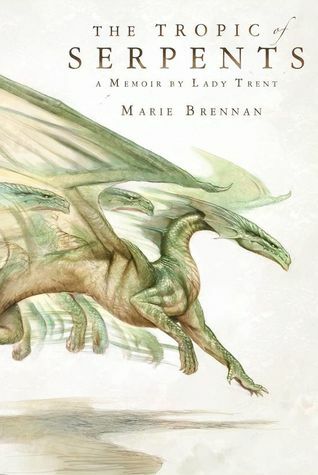 The Tropic of Serpents is book No.2 of Lady Trent’s memoirs by Marie Brennan. I really enjoyed the Natural History of Dragons and so was very much looking forward to this one – and it doesn’t disappoint. I’m enjoying this series in so many ways. It’s fantasy. It has dragons. I enjoy watching Lady Trent developing into her role as natural historian and intrepid adventurer and I love the story telling voice and the era it depicts which has this wonderful faux Victorian quality to it. The story starts off Virtually as Isabella is about to embark on her next adventure – a journey to Eriga where she will be investigating Swamp Wyrms amongst other species. This is a difficult journey to negotiate, not only are there the politics to manoeuvre around, not to mention the even more outdated restrictions placed on females, the place itself has plenty of dangers to boot. Isabella, still in the bad books in her homeland of Scairland where gossip runs amok and most of it concerns her exploits and previous travels, gets off to a bad start by providing shelter and sanctuary to a young runaway heiress who wishes to break free of the restraints of her family and the necessity of marriage. Of course Isabella gives this young lady a place on board and smuggles her off to Eriga. Let the gossip and accusations commence! From there Isabella’s plans are thwarted slightly not to mention delayed considerably when she is, on arrival, invited to stay at the Palace – an invitation that is impossible to refuse without causing offence and potential problems. Eventually however, she sets off, having been slightly strong armed into a mission that was not her original intention, into the Green Hell where she will be adopted by the Moulish people and have many obstacles to overcome in her quest. I won’t go further into the plot. To be honest, I think I liked this even more than the first if that’s possible. I really enjoyed the first, even though I wasn’t quite sure what to expect, but, for me, in this novel Isabella really comes into her own. She proves beyond doubt that she’s prepared to put up with all kinds of hardship, not to mention, insects, intense weather and personal challenges. I thought her experiences in the jungle were fascinating and I loved the descriptions and detail – particularly concerning the way the Moulish lived. I just think it’s an amazingly well done adventure story. In terms of criticisms. I don’t really have any although I think that the characterisation (apart from Isabella’s development) could have been a little more focused on. But, having said that, Isabella really does develop beautifully in this story. She’s faced with a number of self realisations. She stands up for herself and others. She learns her own personal boundaries and comes to terms with how she feels about her own son. The whole scene with the Moulish driving out bad spirits was fantastic. So, maybe a bit more character development for her companions – but I wouldn’t say this was an issue really. I would also mention that if you’re expecting dragons to be swooping through the sky breathing fire and causing chaos you might be disappointed. This story is more than just a focus on the dragons. It’s a natural history after all and so whilst Isabella loved all things draconian she is also making a study of the history of development and evolution whilst taking in the habitat and all within the restraints of what is acceptable to the Moulish people who actually worship the Swamp Wyrms. Overall I think this is beautifully done. The writing is simply evocative. The character Isabella is wonderful. I loved the era in which it’s set and the style of the memoir. If you haven’t already picked up, I enjoyed this very much and would definitely recommend it to others. I think if you love alternate historic settings, fiery headstrong young females who refuse to be pigeon holed and are determined to follow their own desires, adventures with life and death situations that seem almost insurmountable and a few dragons thrown in for good measure then this will be for you. If you’re expecting something of a Victorian bodice ripper where hench and slightly villainous gentlemen come to the aid of the damsel in distress, save her from the dragon whilst sweeping her off her feet and stealing her, ahem, virtue, then, you may be in the wrong place with this book. There are no stilting romances, no bossy men telling Isabella what she can and can’t do for the sake of propriety and no swords and sorcery. A natural historian, doing her thing in the deepest, darkest jungle and striving for recognition for her efforts along the way. I also love that Brennan manages to address issues without necessarily banging on a drum about them and looks at issues not only of equality amongst females but also exclusion through social strata, disability and the necessity of awareness when it comes to other cultures. Fan Art Up is a weekly meme hosted by Tabitha over at Not Yet Read. The idea being to see if you can come up with some inspiration for a little sketch or doodle from your last week’s reading or just anything else in general. 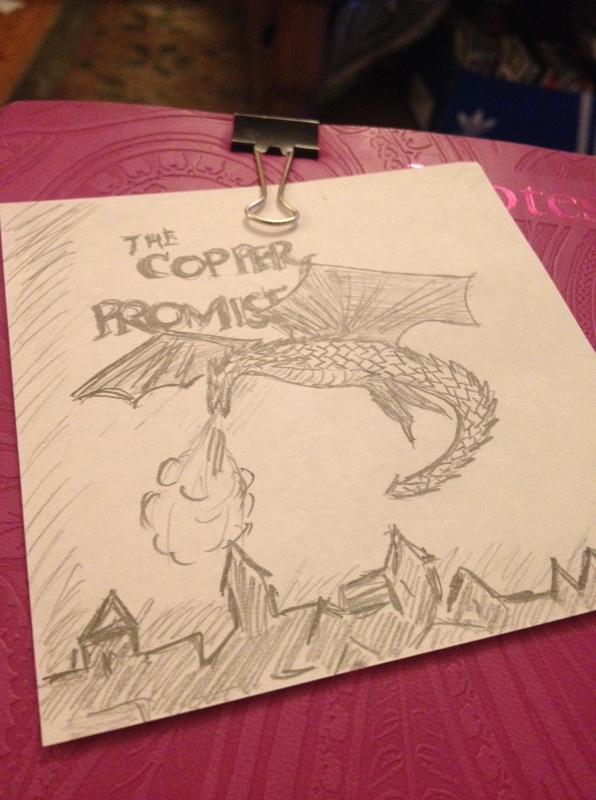 This week I’ve just finished reading The Copper Promise by Jen Williams – which I heartily recommend. I more or less did a quick take of the front cover. Check on over to check out Tabitha’s and the other participants posts.